Phosphorus is a common constituent of agricultural fertilizers, manure, and organic wastes in sewage and industrial effluent. It is an essential element for plant life, but when there is too much of it in water, it can speed up eutrophication (a reduction in dissolved oxygen in water bodies caused by an increase of mineral and organic nutrients) of rivers and lakes. 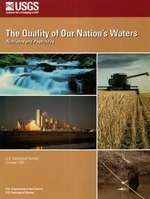 Soil erosion is a major contributor of phosphorus to streams. Bank erosion occurring during floods can transport a lot of phosphorous from the river banks and adjacent land into a stream, lake, or other water body. The green scum shown in this image is the worst algal bloom Lake Erie has experienced in decades. Such blooms were common in the lake’s shallow western basin in the 1950s and 60s. Phosphorus from farms, sewage, and industry fertilized the waters so that huge algae blooms developed year after year. In 2011, heavy snow fell in the winter and spring, resulting in snowmelt runoff, followed by heavy rainfall in April. The rain and melting snow ran off fields, yards, and paved surfaces, carrying an array of pollutants into streams and rivers—including phosphorus and nitrogen from fertilizers. More rain and runoff resulted in more phosphorus that nutrient nourished the algae in the lake. Though not directly toxic to fish, the bloom isn’t good for marine life. After the algae dies, bacteria break it down. The decay process consumes oxygen, so the decay of a large bloom can leave "dead zones” - low oxygen areas where fish can’t survive. If ingested, the algae can cause flu-like symptoms in people and death in pets. Phosphorus gets into water in both urban and agricultural settings. Phosphorus tends to attach to soil particles and, thus, moves into surface-water bodies from runoff. A USGS study on Cape Cod, Massachusetts showed that phosphorus can also migrate with groundwater flows. Since groundwater often discharges into surface water, such as through streambanks into rivers, there is a concern about phosphorus concentrations in groundwater affecting the water quality of surface water. Phosphorus is an essential element for plant life, but when there is too much of it in water, it can speed up eutrophication (a reduction in dissolved oxygen in water bodies caused by an increase of mineral and organic nutrients) of rivers and lakes. This has been a very serious problem in the Atlanta, Georgia, area, as a major lake that receives Atlanta's waste water, West Point Lake, is south of the city. In metropolitan Atlanta, phosphorus coming into streams from point sources, primarily wastewater-treatment facilities, have caused West Point Lake to become highly eutrophic ("enriched"). A sign of this is excess algae in the lake. State laws to reduce phosphorus coming from wastewater-treatment facilities and to restrict the use of phosphorus detergents has caused large reductions in the amounts of phosphorus in the Chattahoochee River south of Atlanta, Georgia and in West Point Lake. Towns in the metropolitan Atlanta area are continuing to expand and upgrade existing wastewater-treatment facilities to handle the increasing volume of wastewater and sewage and to meet stiffer regulations on effluent and river quality. 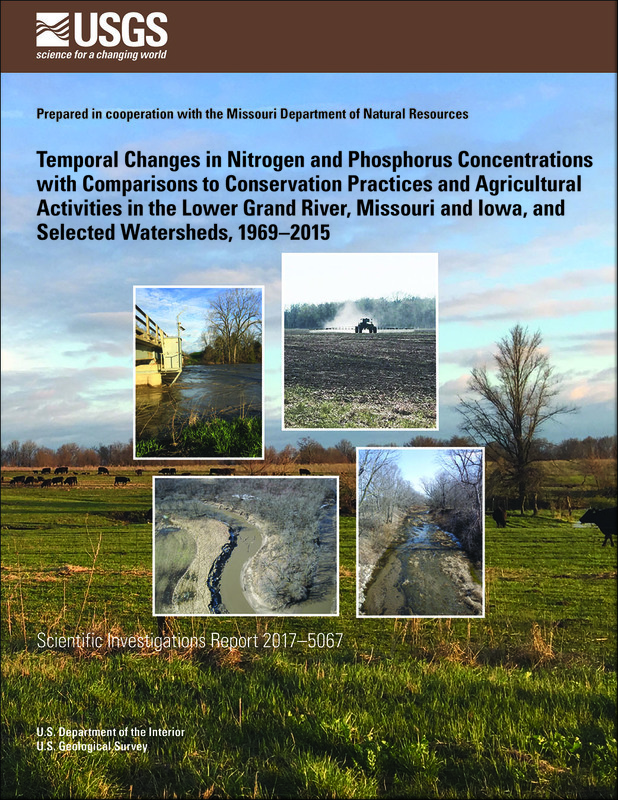 Additional control of phosphorus from non-point sources (such as applications of lawn fertilizers and disposal of animal wastes) may be useful to maintain or improve the water quality in streams and lakes near growing urban areas. The first chart below shows the amount of phosphorus, in tons per year, upstream and downstream of the Chattahoochee River at Atlanta, which is a major source of the local water supply. The amounts of phosphorus downstream of the city have decreased about 77% from the highest levels in 1984 because of both voluntary and mandatory restrictions on phosphorus detergents in the city. As the bottom line shows, though, the total phosphorus load in the more agricultural area north of town continues to increase. The chart below shows both the wastewater discharge and the amount of phosphorus discharged from Atlanta's wastewater-treatment plants. It makes sense that the total amount of wastewater would be going up as population increases, but the tonnage of phosphorus has been greatly reduced both by improvements in the treatment process and by restrictions on phosphate detergents. Below are other science projects associated with phosphorus and nutrients. Below are publications associated with phosphorus. Below are map products associated with phosphorus. Below are multimedia items associated with phosphorus. Brookmill Park Lake, Britain, when there was a severe algal problem. Brookmill Park Lake, Britain, when there was no algal problem. This picture show Brookmill Park Lake, a pleasant country lake in a public park amid the urban settings near Greenwich in Great Britain. Water in the lake comes from streamflow from a nearby river. Certainly a pleasant pastoral setting for any person or duck. The picture, taken in October 2008, shows Brookmill Park Lake during normal conditions. Below are news stories associated with phosphorus.